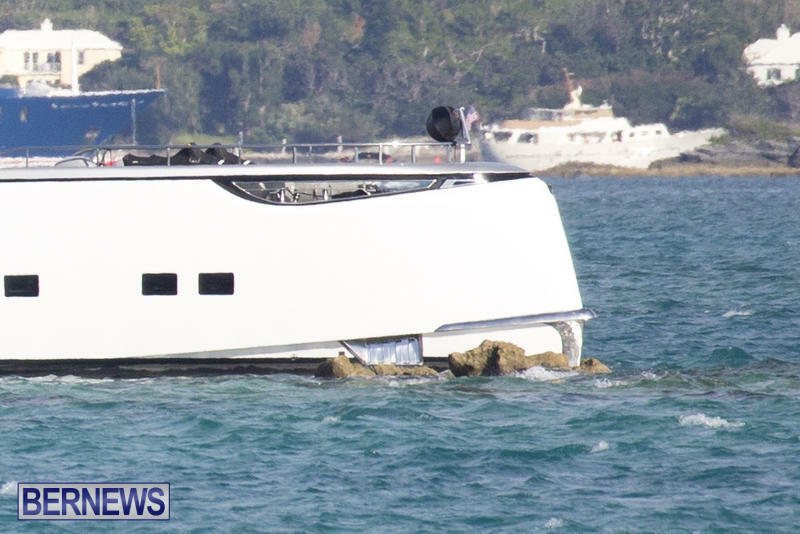 [Updated] The superyacht Jetsetter ran aground in the west end yesterday [June 11], later being pulled off the rocks and taken to Dockyard. 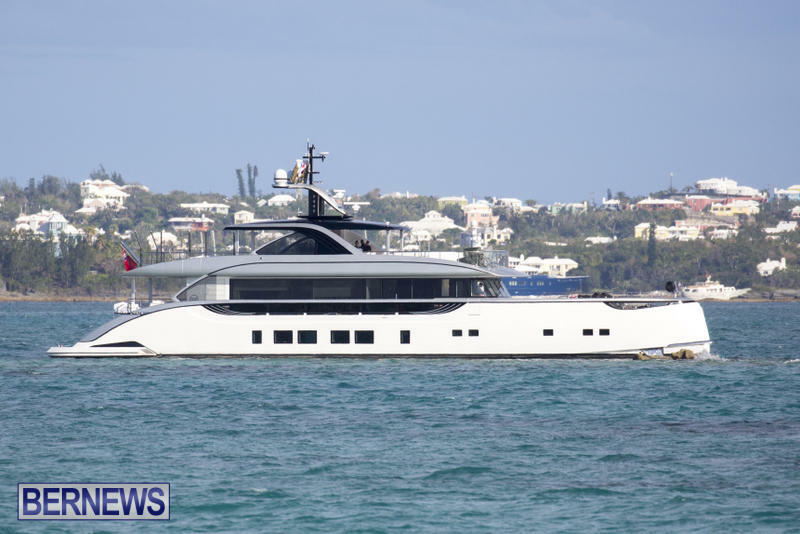 Update: A Bermuda Maritime Operations Centre spokesperson said, “On Sunday 11th June 2017 at 1:07pm, Bermuda Maritime Operations Centre receives notification that a visiting motor yacht had run aground near Stag Rocks, Great Sound. 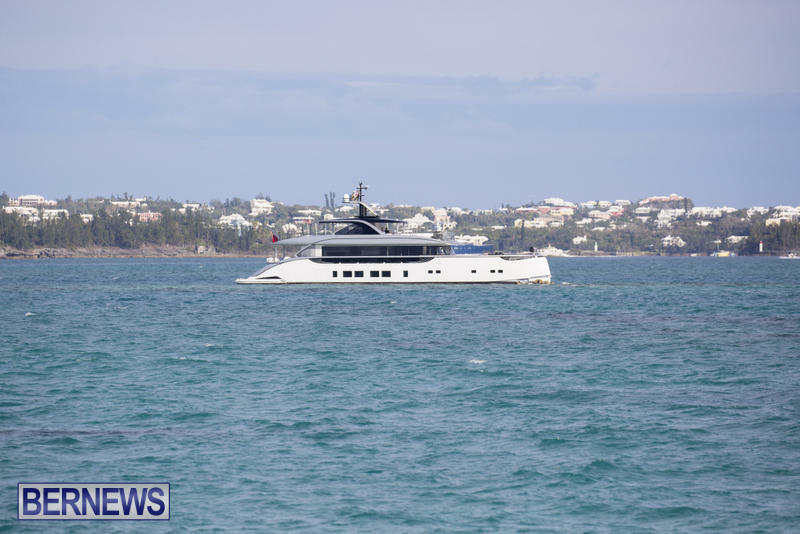 First responders reported that the 120ft motor yacht ‘Jetsetter’ was hard aground at Stag’s Rocks but not taking on water and no reports of pollution in area. “Initial attempts to pull vessel clear of reef proved futile and a salvage plan initiated by the Department of Marine & Ports Services and local contractor to pull vessel free on next high tide. All guests were taken ashore while attempts were also made to lighten vessel for approaching high tide that evening. Saw it on de internet for sale, wonder if de value drops? It’s a Jetsetter make, not the name; so who’s is it??? I thought these were mariners. Ouch! On national tv. Oops. Sh1t happens. Every year boats hit those same rocks nothing new here.